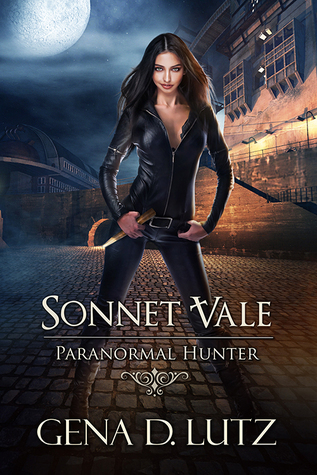 Sonnet is a tracker of paranormal beings for Fang Squad Inc. She has never really killed anyone but her time was a coming. Her partner Emely did all the killings and she loves it. Sonnet loves her friend but she often speaks harshly when it comes to Sonnet's family. The family that treated her as if she was some crazed loon. They have no clue what Sonnet is or why she does what she does why is that. Heading home she is caught off guard by whom? None other than the Vampire she ran into after her partner ripped the last vampire to shreds his friend. She learns this vampire is not like the rest or is he? His name is Bane. Bane feels something for Sonnet and lets her know he sees her strength within and what it means to other paranormal beings as well. Bane has agreed to help Sonnet find a missing girl but can he help Sonnet in other ways? And just what is Emely ?? Is she truly a hunter? We have vamps and other super natural beings I love when paranormal books gives us a few instead of just 1. Gena D. Lutz gives us one heck of a great story here. I loved it. The chemistry between Sonnet and Bane is super freaking HOT and funny in many ways. And so many twists and turns leaves you wanting so much more. I read this book in a bundle called Romancing the Paranormal and this is my review.